As a professional dog trainer in Cardiff I have an outstanding track record of developing lasting changes in the most demanding of dogs. I have built up a strong reputation throughout the Cardiff area for offering proven results with all kinds of dogs from all types of households. Whether you are an elderly lady with a Yorkshire Terrier or a young family with a Border Collie, I can help. As a dog behaviourist I have an outstanding track record of developing lasting changes in the most demanding of dogs. I enjoy working with puppies as well as older dogs who have more deeply set habits- it turns out, you can teach an old dog new tricks! We need to remember that our dogs are highly intelligent and if we are clear and consistent with them then they understand quickly what we want them to do. After that, it is all about willpower! I have been working with dogs for over 25 years, but have been passionate about them since I was a child. I am a Cardiff based personal dog trainer, however I began dog training in Portugal, where I grew up and lived until 15 years ago when I relocated to Cardiff. We need to remember that our dogs are highly intelligent and if we are clear and consistent with them then they understand quickly what we want them to do. After that, it is all about willpower! I work on my own, so when you hire Philippe, that’s who you get! I always meet with each of my clients personally so that I can fully understand the exact needs of that particular dog- each dog has individual needs to match its individual personality. 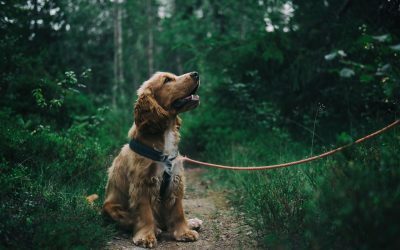 With my decades of experience in training dogs and puppies, I can offer a wide portfolio of training and behavioural techniques that will help you to overcome many of the common problems that dog owners face with their canine companions. I love the challenge of working with dogs that need a little extra care and time put into them; the outcome of a loving family friendly pet is so rewarding to see. Transforming “problematic” dogs into obedient and loving pets is not just my job, but my absolute life’s passion. So please don’t hesitate to ring me if you would like me to work with your dog! If you would like to find out more about how I can help you and your dog develop a loving and trusting relationship, call me on 07745 527708 for further details about my professional dog training services in Cardiff and the surrounding areas.